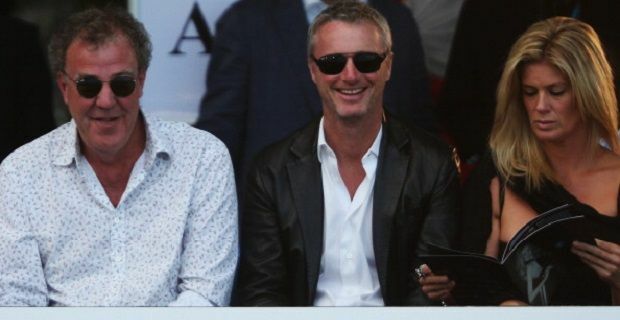 Former Ferrari driver Eddie Irvine has landed himself in trouble after a night club visit. The ex-F1 driver has been sentenced to 6 months in an Italian jail after an incident in a Milan night club. Irvine, who’s 48 years old, probably won’t serve any actual prison time following his arrest for brawling with other night club goers as his sentence won’t come into effect until the whole appeal process has been completed and in these types of cases, Italian officials tend to suspend such short sentenced. The other person involved in the incident, Gabriele Moratti, 35 year old son of Milan mayor Letizia Moratti was also handed a 6 month sentence following the pair’s altercation which happened back in 2008. According to reports, a text message sent by Irvine to an unnamed woman who had just ended a relationship with Moratti was the catalyst for the fight in the Hollywood disco. Both parties reported each other to the authorities which is why they ended up in court on trial for injury in a case that took more than 3 years to resolve. A report from the BBC shows that both parties were found guilty in a verdict of “mutual injury”. Both men said that the other used a glass during the incident that happened in the club’s VIP section, but other details of the case haven’t come out. Irvine, who raced for Jordon, Jaguar and Ferrari in F1 spent 4 seasons as Michael Schumacher’s number 2 for the Italian super car maker between 1996 and 1999. We’re surprised that there haven’t been any messages of support for Schumacher following his skiing accident. Although Irvine was no doubt treated unfairly as Schumacher’s number 2, others in his position like Rubens Barrichello have offered their support as Schumacher fights for his life.